As Graduate Cyber Security consultant, you will participate in a variety of engagements, conducting hands-on penetration testing beyond automated tool validation, which will focus on targets that may include network devices, servers, web and mobile apps, web APIs, wireless infrastructures, IoT devices, and other information systems. 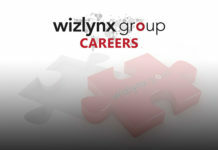 You will have the opportunity to combine technical expertise with your imagination to conduct targeted attacks and discover vulnerabilities, with the goal of ensuring wizlynx group’s customers remain one step ahead of its adversaries. You will have the opportunity to be mentored by the best Cyber Security experts and learn while shadowing senior consultants during customer engagements from day one. At wizlynx group, you will follow a continuous training program to develop and strengthen core IT and Cyber Security skills, such as computer and network security, penetration testing, incident response & forensics, secure software programming, etc. You will also have the chance go to conferences, participate to hacking competitions, attend advanced trainings and pass highly recognized certification from Offensive Security, GIAC, and CREST. We are offering you to work in a thrilling, challenging and fun environment, where what you do is important and meaningful. At wizlynx group, there is no limit but the sky. If you wish to learn and get involved in other areas of Cyber Security and/or the business, we will ensure that you get all the help you need to succeed. At wizlynx group, you will get dedicated time for security research on topics that interest you the most.